Previous postI’m a Little Teapot, Dang It!! Ouch! Good luck with your first root canal, Nana. I’ve only had one root canal and there is only one word to describe my experience – BORING. Everything was numb so nothing hurt, but it was several hours in the chair. That was many years ago. Dentists are more into entertaining their patients now, so hopefully yours will provide some distraction. I’ll never forget the guy – Dr. Wu. His office art was large blow up pictures of stained bacterial slides and he had them labeled “abcess art”. I’m having the same problem you are with knitting too loosely on size 0 needles. 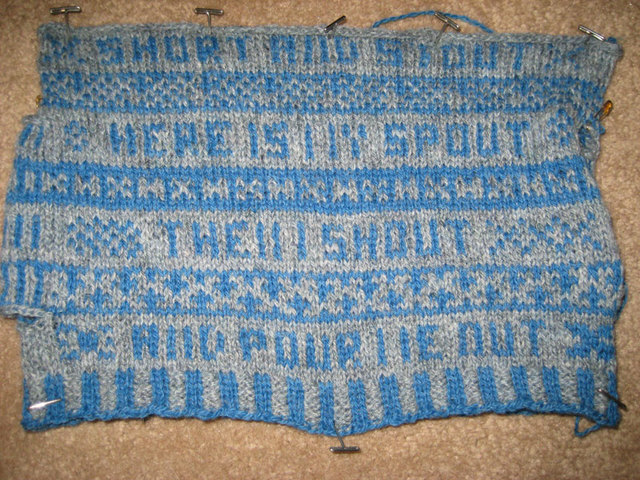 I’d like to get a gauge of 8 or 9 stitches per inch as suggested for many sock patterns but I can only manage 7 per inch. The cosy looks nice, though. Perhaps a bigger teapot is the answer! I’ve started to surf the net for 00 and 000 needles. And I do love that sweater too, and it would be great for Silky Wool. 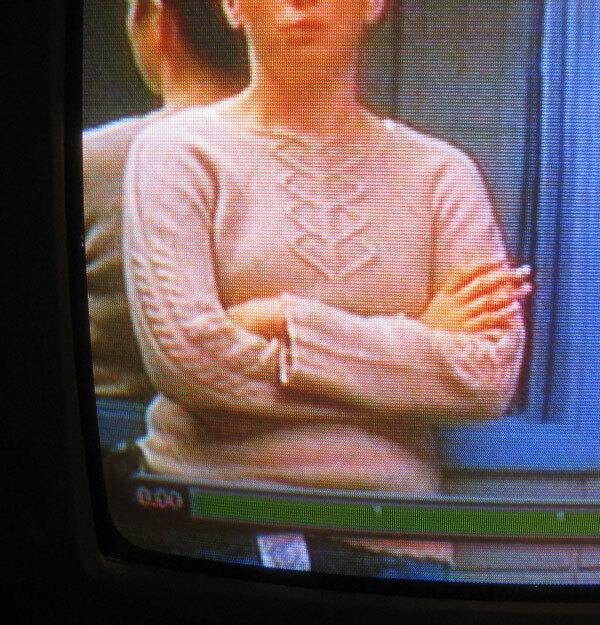 I think that the Brenda character on “The Closer” sometimes wears interesting sweaters, and I’ve kept some in a “to be knit someday” file. That sure beats the manila folders of dusty clippings of past years. Too bad about the root canal. DH had several, and the last few weren’t that bad. For me it is gum problems, but my surgery went much better than I expected last year. I’m having the same problem with a crowned tooth. hope they get it figured out for you. I love that sweater adn it does look like a Lavold. What are you studying? I just saw a very similar sweater to the one you like…it was lavender and I’m thinking it was either in the spring IK or available at Knitting Daily. So…..perhaps a larger teapot? I still think it has a very strong “cute” factor going on. Good luck with the root canal. My daughter had one when she was very young…no decay, her tooth was formed wrong somehow. Anyway, she had a very good experience, totally pain free. She also was written up in some journal, as it was a very odd occurrence….so she had her 2 and a half seconds of fame. Maybe if you have enough yarn to finish you could felt it slightly. I’ve had more root canals than I want to admit to. I’ve flossed since fifth grade. Just have rotten teeth genes. The cosy is going to be adorable. Looking forward to a root canal??? ?